We interrupt our coverage of the dire problems of our climate to repost this article on American bicycle culture from a Dutch point of view. And in a way, this is also an article about reaction to climate change–the Dutch and the Danes and many of their European counterparts get around just fine on a bicycle for most of their daily tasks. Their elected officials take cyclists (and pedestrians) seriously, and realize it’s better for their respective countries if they aren’t using up fossil fuel to get everyone from point A to B. 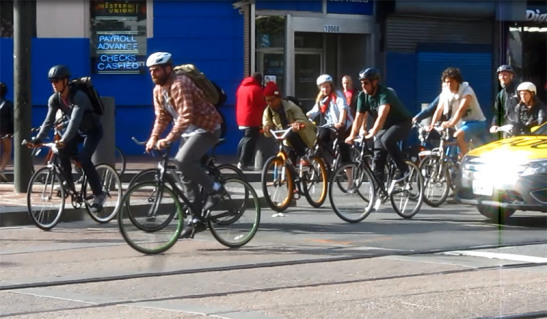 The average cyclist in San Francisco seems to be a young fit adult, mostly male and appears to be in a constant hurry. And if you don’t understand that remark; this is my frame of reference. 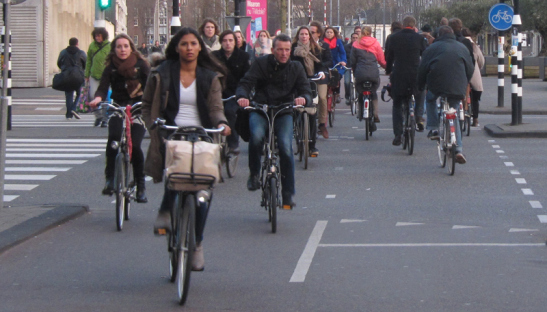 In Amsterdam (and elsewhere in the Netherlands) the range of people cycling is much broader.